It's the time to bow to the Great Pumpkin, the magical goddess of the fall! Get ready for pumpkin carving, pumpkin ale, and pretty much everything else tasting, smelling or looking like pumpkins. 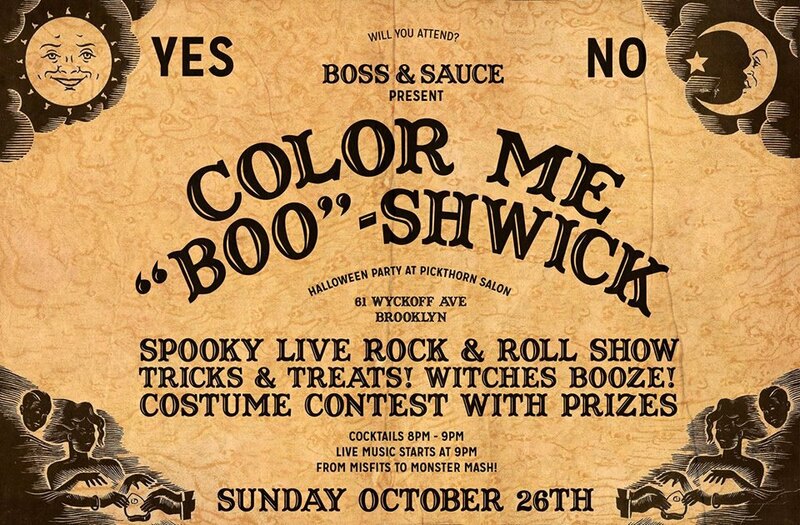 Besides a lot of pumpkin, Bushwick Halloween is pretty much one huge rager. The good news is, different Halloween-themed events are starting already this week, so you can start wearing your array of Halloween costumes from now on for two weeks. 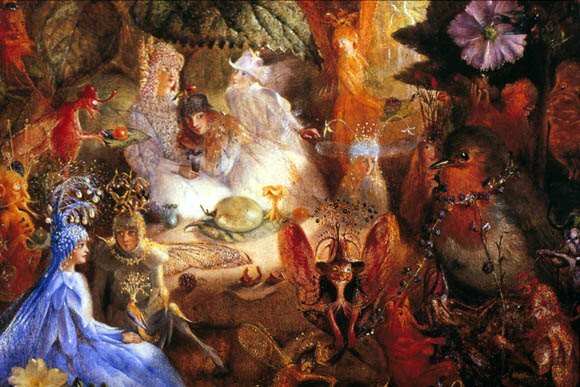 Community gatherings, wild parties, the sexiest Halloween costumes, MAGIC and dancing till the dawn. 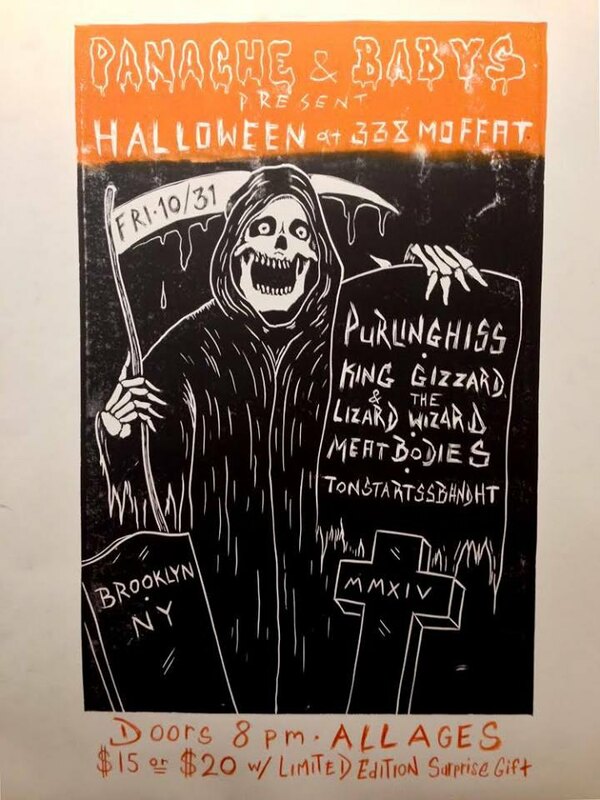 At Bushwick Daily, we were once again lead by a pure Bushwick obsession, to create a cheat sheet to the sweetest and the pumpkiest Halloween events in the upcoming days and nights. And don't forget: Pumpkin to rule them all! The famous party collective Bang!ON, the creators of the most remarkable and memorable, gigantic warehouse parties featuring art installations, amazing DJs, aerialists, and MORE, has prepared something special for this Halloween. 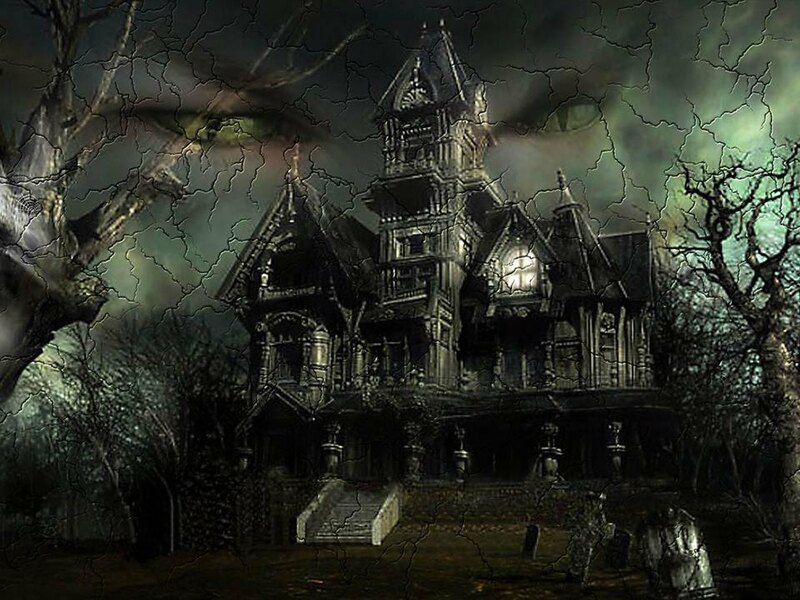 Get ready for a freakin' haunted house build in a factory. 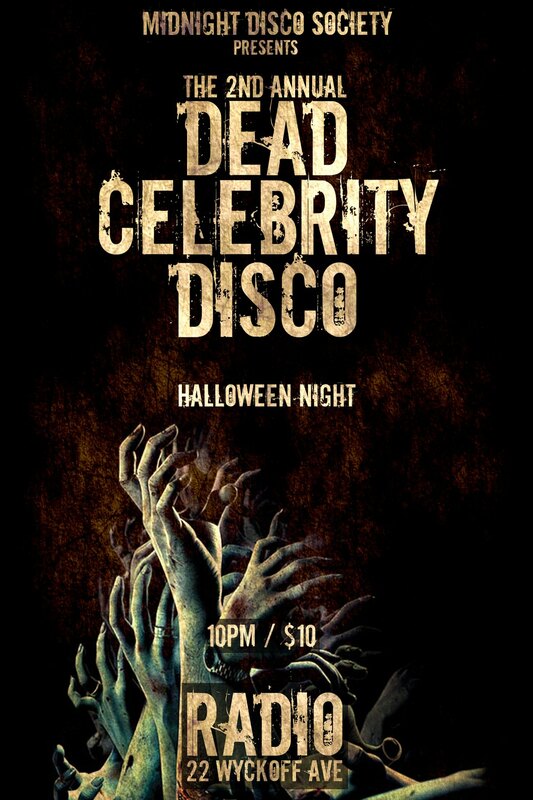 If you're up for celebrating Halloween in a great style, and are ready for your A costume game, this party is for you! Admit that a dead celebrity is exactly what you want to be for Halloween this year. We've got a couple of ideas ourselves... This fabulously glorious night is going down at Radio Bushwick Lot 45! Low Key promises a a journey of musical and visionary exuberance, a travel through the layers of reality on the biggest FRIGHT NIGHT party event of the year. DJ line up includes: DKDS, Safer At Night, Xander Olivier, and Tom Mckeon. SUPER-SECRET SALE: The organizers emailed us that they have exactly 5 tickets for $20 and 15 for $25. Pick up only. People must contact them directly via email (essiegrahamphoto@gmail.com). This super secret sale will be over at 10pm Wednesday evening! New house of curiosities/antique store/cafe/bar, The Keep is opening at 205 Cypress Ave this coming Halloween Friday. They've teamed up with Rubulad (I know, how awesome) to open in a big masquerade style. Tuck into this gem on Friday! The ghosts and ghouls at Brooklyn Wildlife and Secret Loft are hoping you'd spend your Halloween with them. 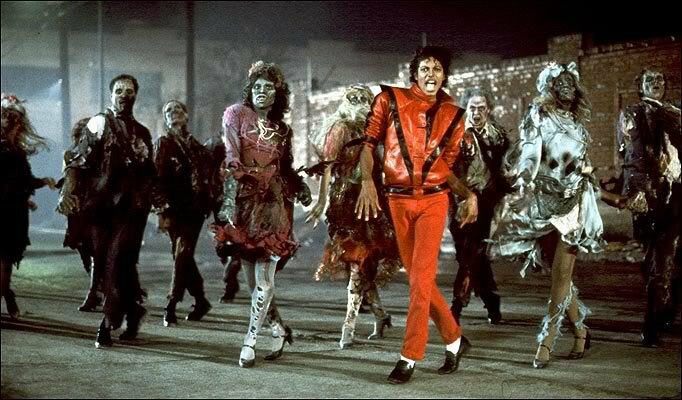 And with a bunch of zombies, vampires, super heroes, and the usual line up! 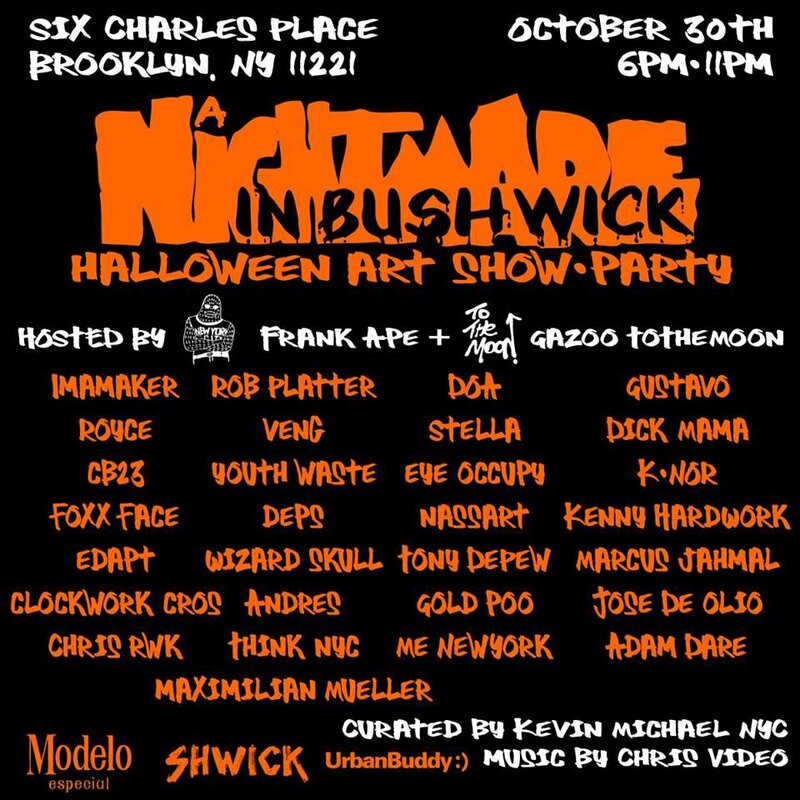 Bushwick's newest Shwick Market is also doing cool stuff this Halloween. They have invited Frank Ape (we looooove Frank Ape!) 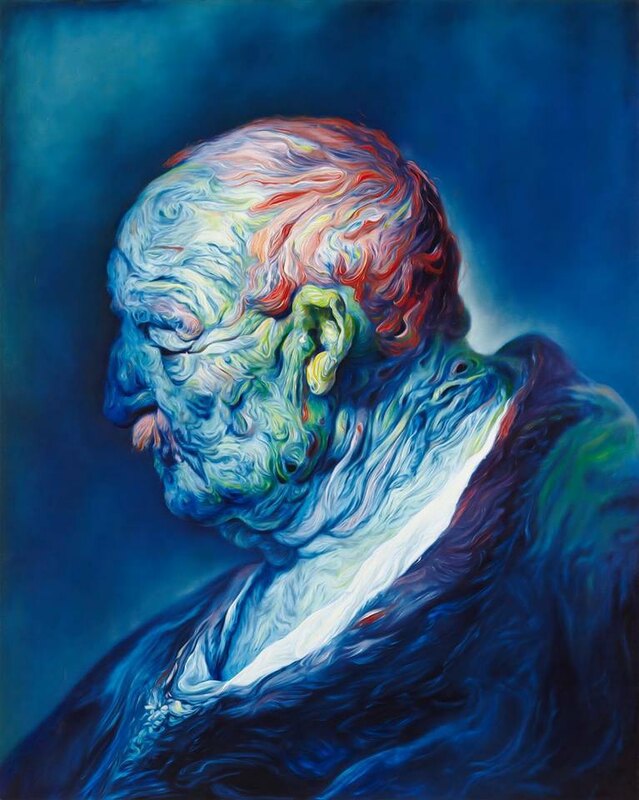 and Gazoo Tothemoon to host the art art show and Chris Video to make you dance to the music! This Thursday!! Guys, you may have not heard of this party but it's in fact one of our most fave up and runner ups for the best killer rager. Yes, it is hosted by real estate brokers, but we've met them and they are really chill people. Also do you remember the infamous Trip House? 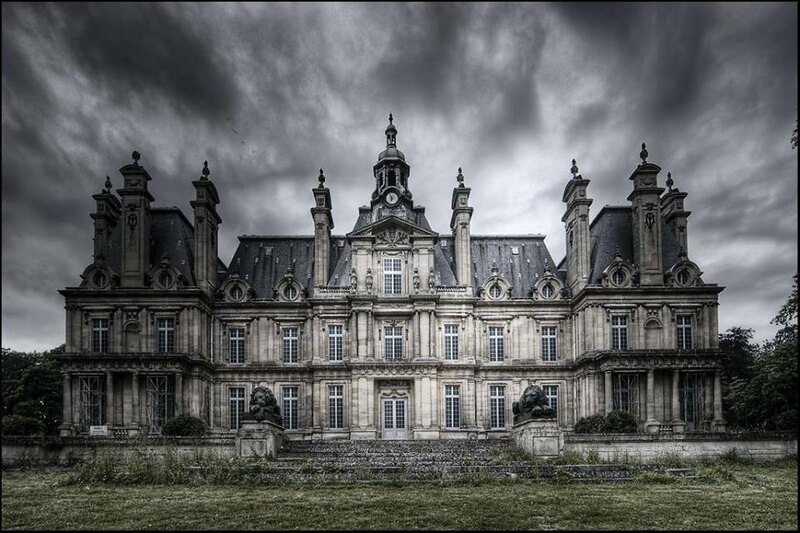 Well, this mansion is Trip House. Free admission, free booze! 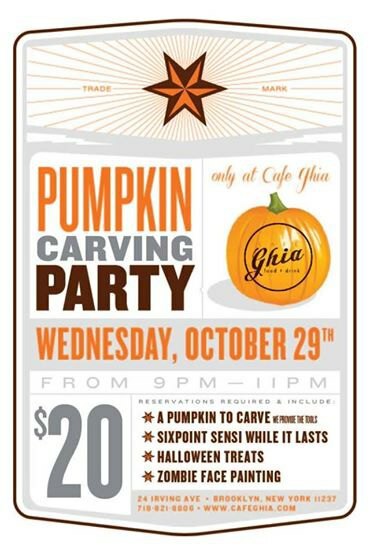 Cozy restaurant Cafe Ghia (proud #1 maker of the best Bushwick burger) is hosting their 4th annual pumpkin carving fun fest. This event will feature unlimited Six Point Sensi beer, a pumpkin for you to carve, Zombie Halloween face painting and yummy treats! 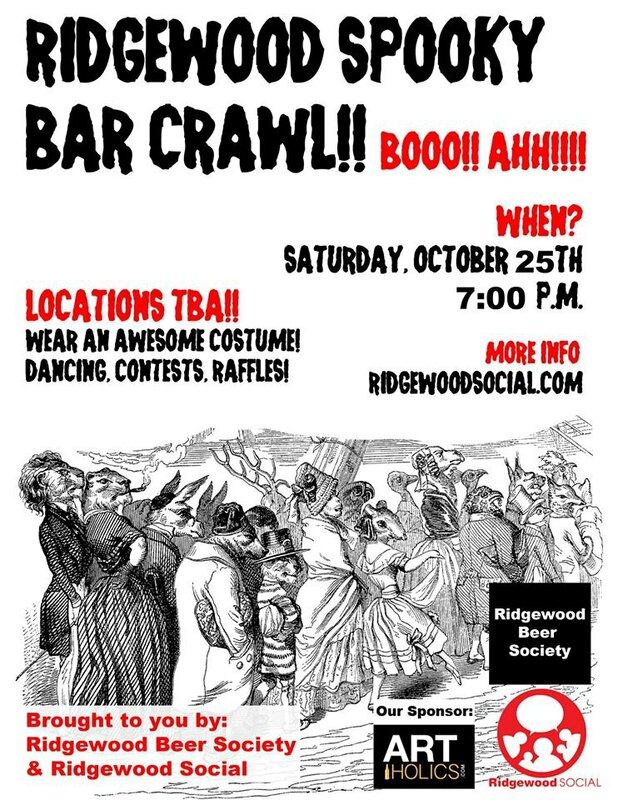 Ridgewood Social and Ridgewood Beer Society are presenting a Halloween-themed "educational" tour of Ridgewood bars. The crawl includes: Old Stanley's, Paradise, Windjammer, Gottscheer, Bleachers, Cozy Corner, Cream and Queens Tavern. I bet you haven't been to at least 50% of these places. Our advice: pace yourself with the beer else you won't make it too far. Oh, and wear a costume! Have you had those Halloweens when you planned something huge and awesome but then something happened and the plan virtually exploded in your face? 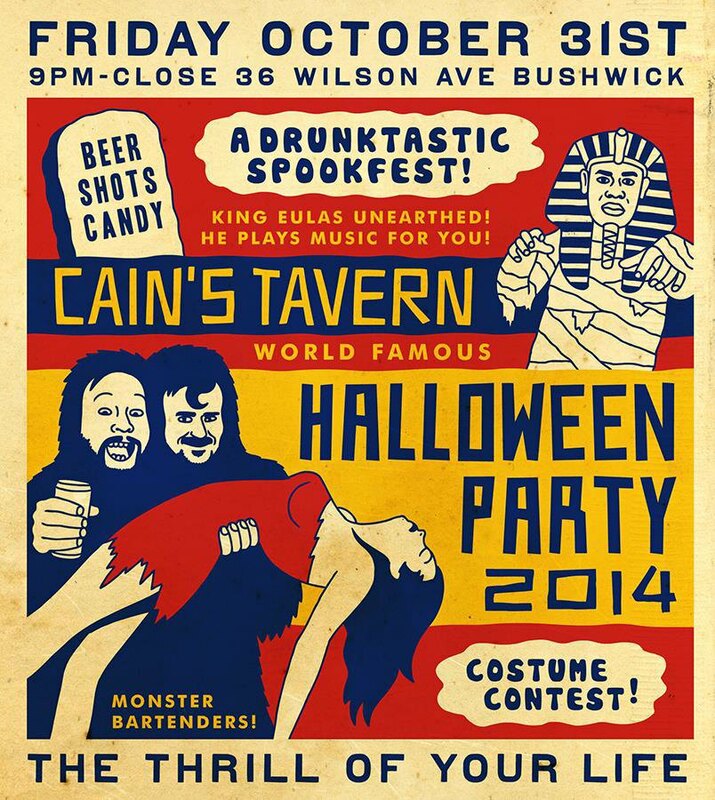 Well, if that happens, do not cry but take yourself in a costume to Cain's Tavern. Cain's Tavern will not have a killer rager but is one of those bars where it always feels good to be at, no matter what. You simply can't go wrong. 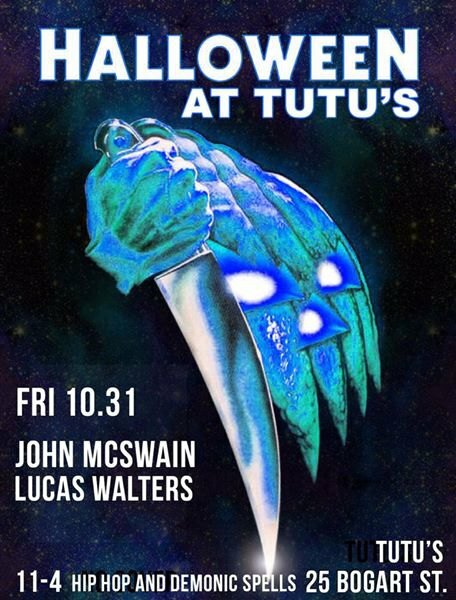 If you're the kind of person who likes to indulge in good food before you indulge yourself in insane dancing, Tutu's Halloween might be the best option for you. Just bare in mind your costume constrains when eating that amaze burger! Later dance with DJ (and owner) Lucas Walters and John McSwain to hip hop demonic spells. 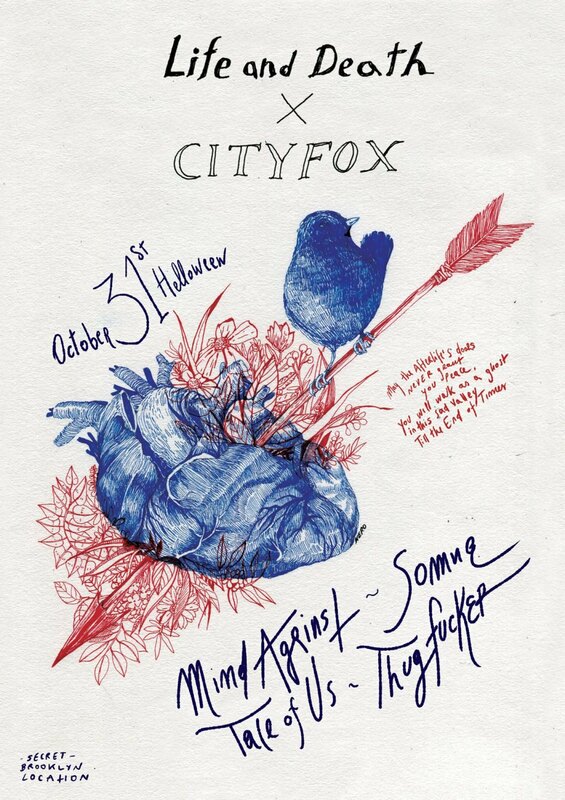 This early Halloween extravaganza promises two floors of occult fascination, performances, punkest pumpkin carving contest as well as a bunch of fun bands including A Bunch of Dead People, Screamin' Rebel Angels, or Black Figments. 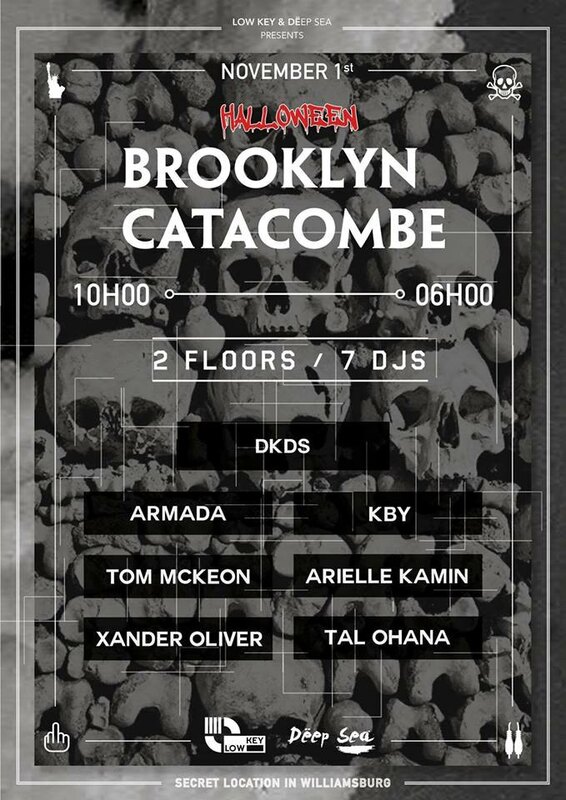 Panache Booking and Baby's Alright have teamed up together to bring you Halloween night of dead music at a Bushwick loft. Come in costumes! Busy will be 338 Moffat building aka "Where the Sidewalk Ends" this Halloween. Another show of dead music held at pretty much the same time will feature our fave indie bands covering classics of alternative rock. We like this Halloween tradition! Fabulous colorful ladies of Pickthorn hair color salon where celebrities and models are often seen leaving all good looking, are throwing great parties. This coming Sunday, they have invited The Nuclears and are making witches brew. Costume contest! If you consider yourself a tropical goth (yes, it's almost a thing), this event is just for you. With Food Stamps, Small Death and Chris Video in the DJ booth, you can't go wrong! 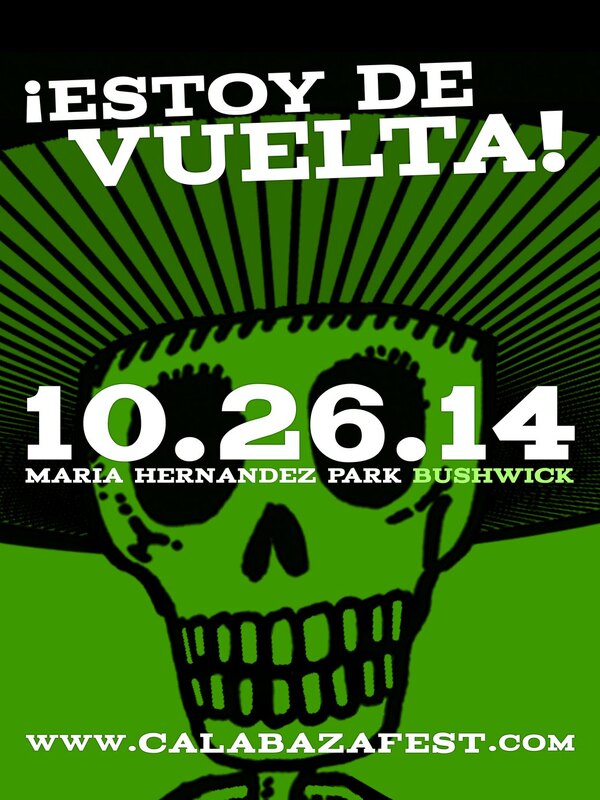 The ultimate Bushwick pumpkin carving event is being held at the beloved Maria Hernandez Park for the fifth year in row (check out last year's write up)! Hosted by Bushwick Farmers’ Market, Calabazafest is a cross-cultural mashup of Halloween, Day of the Dead, and Harvest Fair traditions, featuring fantastic live performances, pumpkin crafts, mariachis, food demonstrations and tastings, costume contest, and a face-painting competition. Fun! Bring your children, kittens and/or still drunken roommates from the night before. 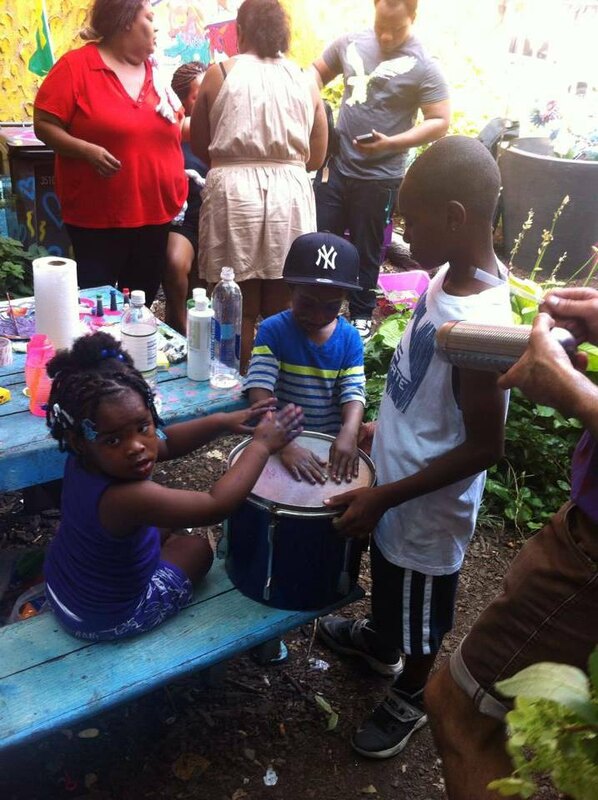 This community garden promises face painting, pumpkin carving and more. 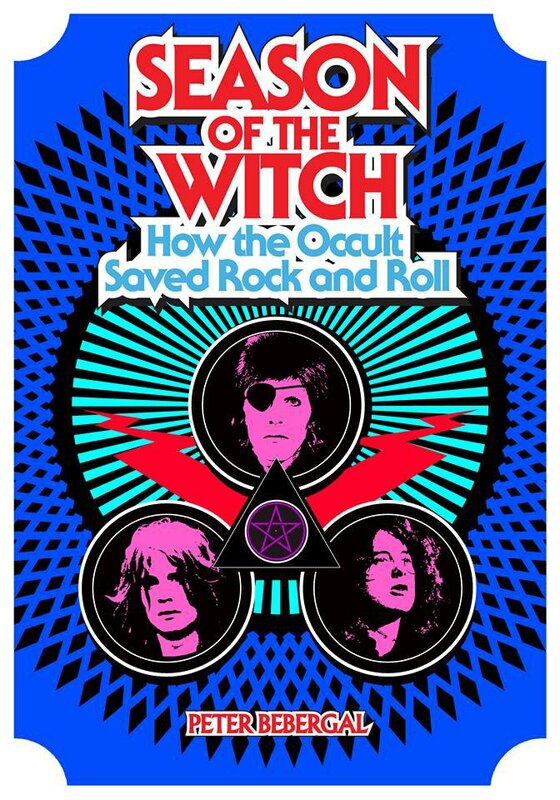 Peter Bebergal's new book is cultural and historical odyssey, which unearths the full influence of occult traditions on rock and roll—from the Beatles to Black Sabbath—and shows how the marriage between mysticism and music changed our world. He will be presenting this new book at Catland. 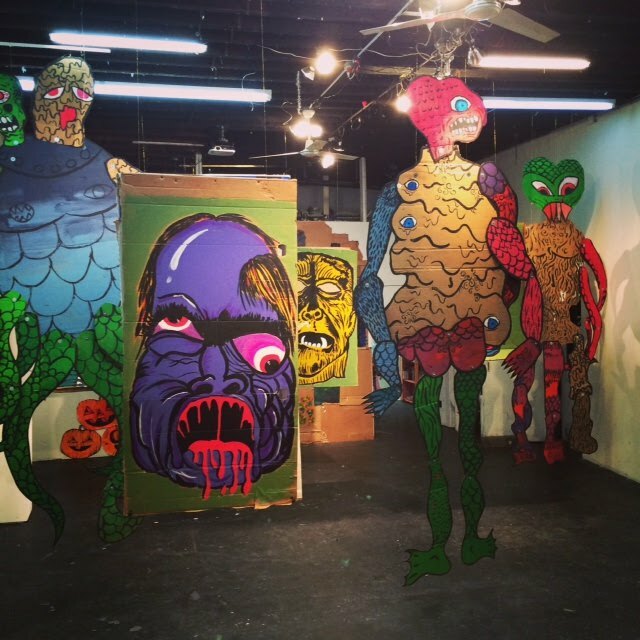 A group show of monsters opens in its tenth year (we call that a Halloween tradition) at Secret Project Robot featuring artists Erik Z., Chris Uphues, Rachel Nelson, Gregory Stovetop, Allison Bush, Dean Cercone & friends, David Kadden, Adam Mele, Eli Lehrhoff, Martha Marty, Laura Perez Hilton. 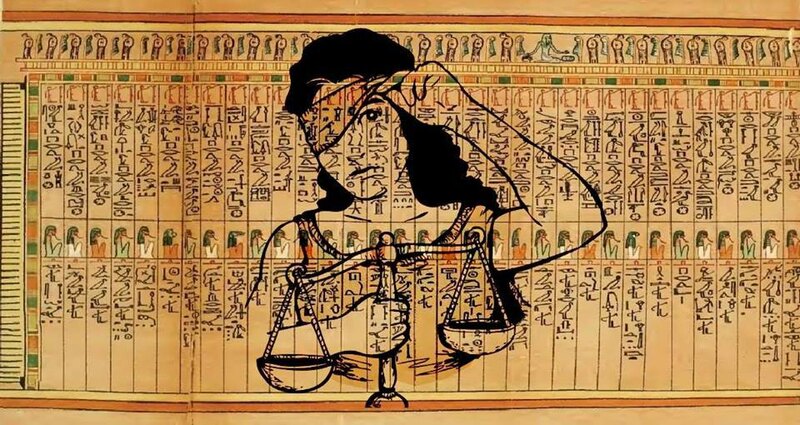 Anyone touched by the legal system knows it runs deep with esoteric knowledge ... but what happens when magicians go to court? Accoustic musicians The Bogart Collective shall reappear at 1 Grattan. They promise a night of song, dance, and delicately bearded Tedaldi flirtation. 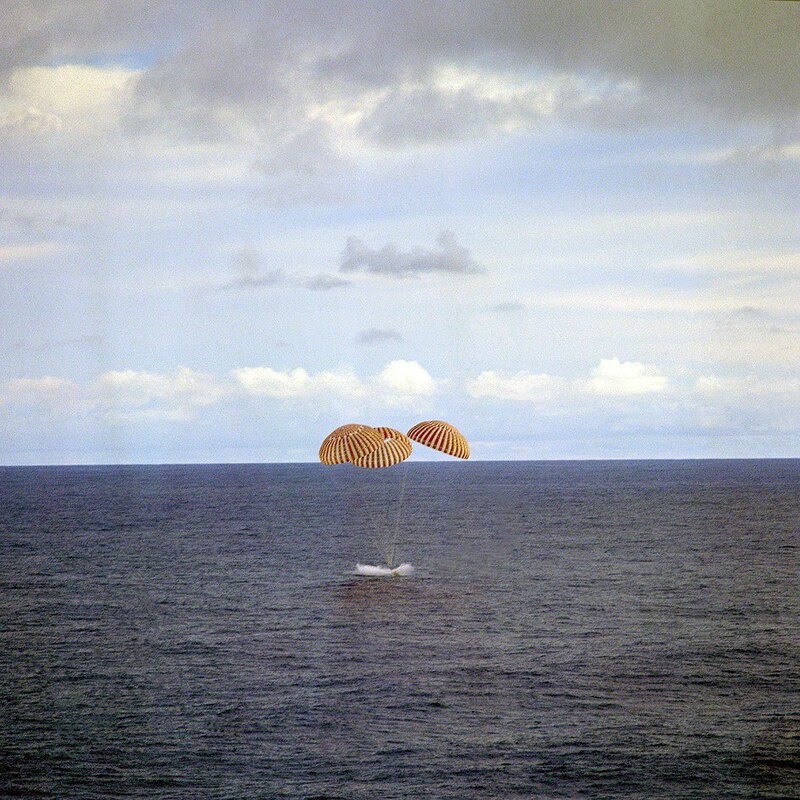 Intriguing.